Phil Hartman would have been 70 years old today. I learned that fact from the Pee Wee Herman Twitter account. I would say that I learned it from Pee Wee Herman’s Twitter account, but I can’t easily verify if Pee Wee (Paul Reubens) actually runs the account. Back in the 1970s, Phil Hartman performed with Paul Reubens in the Groundlings in Los Angeles. Hartman and Reubens worked together to develop the Pee Wee Herman character. As Reubens gained more fame as Pee Wee Herman, he continued his collaboration with Phil Hartman: first during Pee Wee’s HBO show, then for the full-length, Tim Burton-directed film Pee Wee’s Big Adventure, and then for Pee Wee’s Playhouse on CBS. Each of those projects was intended for a different audience, but the constant throughout was the collaboration between Reubens and Hartman. Back in 2014, during a Thanksgiving weekend I spent in Maine on a ski trip with my family, I read Mike Thomas’s biography of Phil Hartman, You Might Remember Me: The Life and Times of Phil Hartman. Thomas’s biography is good, not great. It is filled with strange passages, such as this one, describing a teenage Hartman’s car: “Phil jazzed up his mean machine with strips of window fringe called ‘dingle balls’ and adorned its exterior with tiny moons. A chick magnet if ever there was one—not that he needed such bait.” It’s nice to know that Phil Hartman was good with women, and I suppose this is a funny detail—but these kinds of asides pop up throughout the entire book. In the biography, Thomas covers the close creative partnership Reubens and Hartman shared. As much as they collaborated, they also fought and grew apart. I can’t recall the details without paging through Thomas’s book once again, but I remember bits and pieces of Hartman’s jealousy at Reubens’s fame and Reubens’s paranoia at Hartman’s good looks and natural comedic skills. 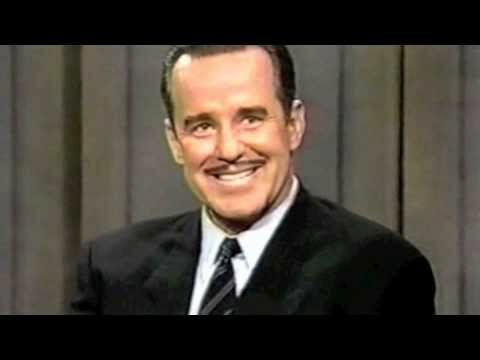 Phil Hartman is one of my favorite comedians. I think about him almost every day. When I was actively doing sketch comedy a few years ago, whenever I would get lines or a part in a sketch, I would always think about how I could approach my performance in the same way that I imagined Phil Hartman did: even if a character only has a single line, think of an entire backstory for that character and put that backstory and personality into even that single line. It sounds pretentious, and I surely didn’t do that every time, but I genuinely believe that Hartman did that for every part and truly believed in the importance of that principal. And many accounts back me up. Earlier this summer, my girlfriend was traveling with her family. Like I normally do when she is away, I got drunk by myself and went down comedy and music rabbit holes on YouTube. On one particular night, I decided to go down a Phil Hartman rabbit hole, specifically his appearances on late night talk shows. There are two particular appearances that Phil Hartman made on The Late Show with David Letterman in the early 1990s that particularly fascinated me. In one, from 1993, Hartman seems shy, almost reserved. At one point during his interview with Letterman, Dave tests Hartman on the different voices he can do. At one point, Hartman does an impersonation of Charles Grodin, who at the time had just made the hit children’s movie Beethoven, which is about a messy, lovable St. Bernard who wins the affection of an orderly, hard-working family man. Hartman does a solid, surprisingly amusing imitation of Grodin (if there is a more specific imitation or less-interesting one to reference in 2018, I don’t know what it is). Letterman, then suggests that Hartman must be able to do a Jack Benny impersonation because there is a similarity in tone. Hartman agrees and then launches into his much more polished Jack Benny imitation. Letterman and Hartman then wax poetic about the genius of Jack Benny—this all took place on a late night talk show in 1993. Jack Benny had been dead for nearly 20 years at that time. Hartman’s appearance in 1994 is far more lively. He appears on the show with his hair slicked back, a cigarette in his mouth, and with a clearly fake mustache above his lip. Hartman greets Letterman in a put-on show biz voice from the 1930s or 1940s. Dave says to him: “You look a little different. You have something—you have a little magic marker on your lip there.” Hartman responds, immediately and confidently, beaming into the camera: “It’s a drawn on mustache, Dave.” Letterman cracks up and the two banter for a moment. Dave then asks Phil, “Do you want a light for your cigarette?” To which Hartman responds, “No, I’m a non-smoker, Dave.” Hartman then launches into a bit about how he is the first non-smoking spokesperson for the American Tobacco Grower’s Association complete with a tale about how the “industry is in a slump” and how at the “big summit meeting in Raleigh, North Carolina” that the new strategy was to get non-smokers involved in their marketing. Hartman then goes on to enumerate the ways in which a non-smoker can enjoy a cigarette. When I tell you that every moment is filled with a joke or small acting tic that somehow becomes a joke, you have to believe me. These late night talk show appearances are nothing special. They are simply part of the circuit that Hartman made at the time to promote a new piece of work. Hartman was never as famous or accomplished as he wanted to be. But his committed performances on average episodes of David Letterman’s CBS iteration of his talk show somehow still remain as entertaining as anything he ever did—at least to me. Phil Hartman would have been 70 years old today. He’s been dead for 20 years, just like Jack Benny was in 1994. I still think about him all the time.